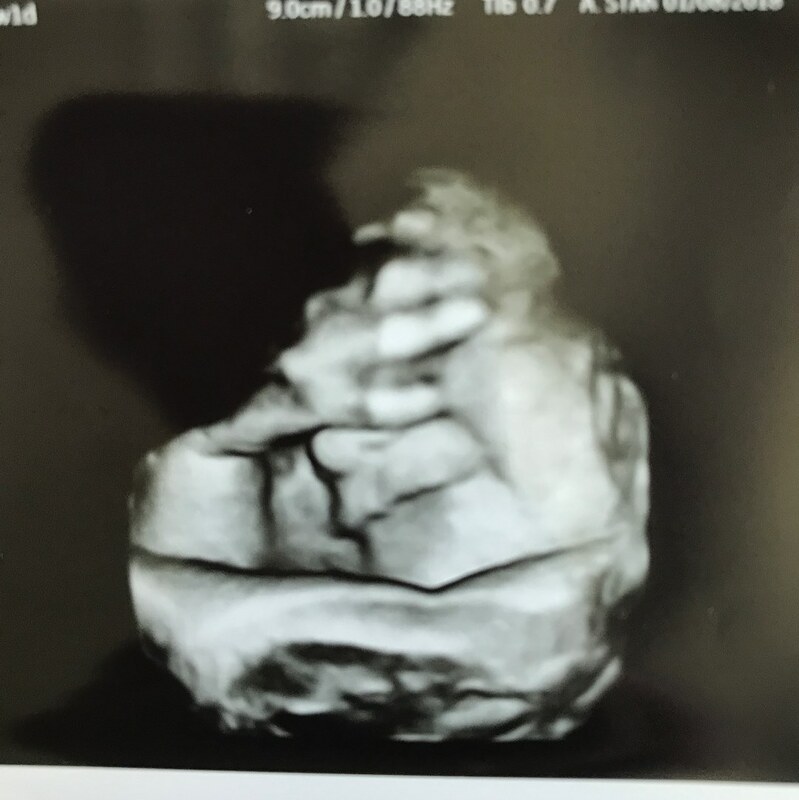 Well, 39 weeks along seems like a good time to make a comeback and do a blog post about Baby Boy Glatfelter #2, haha. I guess when I talk about pregnancy and life in general on The Broadcast every week, it seems redundant to tell the stories again here. Perhaps if I moved some of those stories over here once in a while, our episodes would be much shorter, hahaha. Anyways, here we are, at 39 weeks and 2 days. My due date is February 4, and I am ready. This pregnancy has been really different than when I was pregnant with Zachary. Yes, I’m a lot more tired, but I can deal with that. It’s the higher level of physical discomfort this time around that I wasn’t prepared for at all. Starting at around 16 or 18 weeks, I had a lot of round ligament pain in my right side and it actually sidelined me a few times because I couldn’t stand up from it. That progressed into back pain, so I bought a brace in October that really did help a lot. 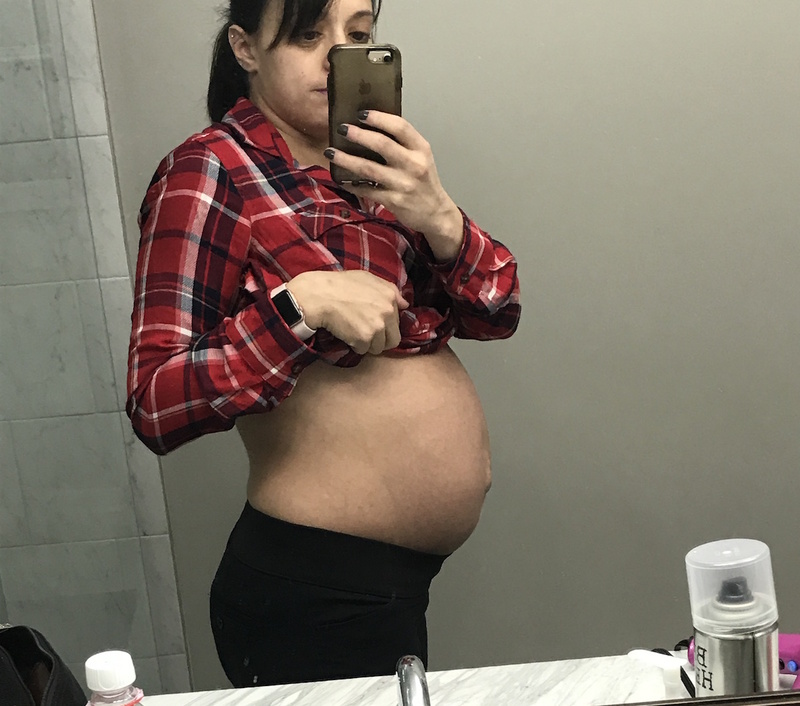 Sometime in mid-December, I started really having simultaneous pain and numbness in my stomach and noticed that there was a hole above my belly button. My ob-gyn confirmed that I have diastasis recti, which means my abs have split apart. It’s common, often heals within a few months of birth and is treatable with physical therapy. But anyways, if a little bit of stomach pain is the most that I can complain about, then I recognize that I’m being a big old baby that needs to shut up because I’m lucky that’s all I have to deal with. We’re almost done with his room. We’ve kept it fairly lowkey because the room has a wall of built-ins already as well as a wood wainscot on the other three walls. We are using Zach’s old crib and bought an IKEA dresser, a bookshelf from Amazon, and a La-Z-Boy chair. We also got a storage ottoman from Target that has toys in it. I found a lovely “We love you more” sign at Buy Buy Baby that we’re putting up on the wall. We ended up getting a La-Z-Boy because we’re anticipating long nights for the next couple of years and wanted to spend them comfortably and have something that we can use in another room once those long nights are over. Just a tip for anyone who is looking for a La-Z-Boy: We ended up with LAB because we saw the store by us was having a factory clearance sale. The saleswoman mentioned that they price-matched, so after we ordered it, I went home and found the same chair for muuuuch cheaper on Wayfair. Jay called them the next day and not only did they match the price, but they also gave an additional 10% off of the difference. The only thing we had to pay was the delivery fee (it was free shipping on Wayfair). But for someone else to assemble it for us, it was well worth the delivery fee, haha. I think that’s it for now. I’ll leave you with a recent ultrasound picture of Baby G2 as well as a rare belly shot that was taken at 38 weeks (I seriously only have maybe 4 or 5 pictures of my stomach this time around). Hopefully, the next Baby G2 update I have is one announcing his birth and not me whining about how I’m a week overdue, hahaha. 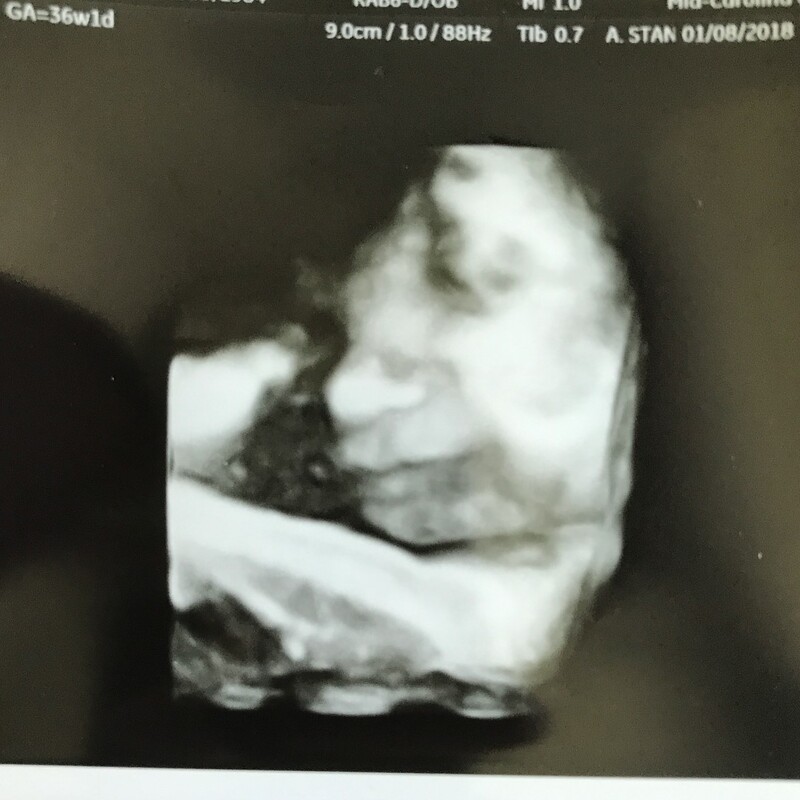 He was estimated to weigh almost 7lbs at 36 weeks, so I’m a little nervous that he’s going to be 10lbs by the time he actually gets here, eeekkkk.